DON’T FORGET TO ASK ADAM IF YOU NEED TO MAKE CLEAR LINKS ON HOW CERTAIN EVENTS IN SURREALISM EFFECT GRAPHIC DESIGN IN TODAY’S WORLD? ?Graphic Design can be found all around the world. There has been different purposes for Graphic Design through-out history; which can vary from book illustrating/designing to webpages and billboards. The concept of Graphic Design started in the early 15th century when Johannes Gutenberg’s developed typography by inventing movable mechanized type as well as other type developments. Graphic Design has came on a lot since then, due to the impact of different movements which has helped develop it into what it is today. Surrealism is a cultural movement which started in the 1920’s which is renowned for it’s notorious dreamlike visual artworks (often featuring the unpredictable juxtapositions and the element of surprise with random objects )as well as writings. Dada influenced surrealism during the first world war and the center for the movement was Paris, from there it soon spread globally. After a while surrealism affected other countries: visual arts; literature; music; language; film; social theory; political practice and thoughts; as well as philosophy. The following events helped Surrealism influence Graphic Design into what it is in today’s society. the cover of the book looked surreal. 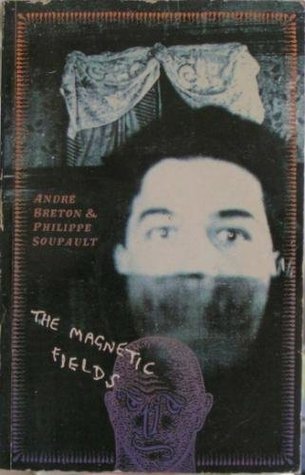 In addition to this book, André Breton also published another surrealist book in 1924 ‘Le Manifeste du Surréalisme’ (The Manifesto of Surrealism). The surrealist movement offically kicks off as the manifesto which defines the goals and aims of surrealism. Also in 1924, ‘motion blur’ was first created this was a contribution to the movement, Motion Blur is the clear streaking of quickly moving items in a still picture or an arrangement of pictures, for example, an animation or movie. This effect is still used in today’s videos games, films and photo’s. This clearly shows that surrealism has helped shaped Graphic Design. Figure 2 (above) is a picture from the 1920’s and show’s ‘motion blur’ Figure 3 Figure 3 (below figure 2) is an example of how‘motion blur is used in surrealism in today’s society. 1958 Guggenheim International Award; 1954 Venice Beinnale Grand Prize for Graphic Work. Figure 4 (below) is an example of his earlier art work. This painting is called ‘Horse, Pipe and Red Flower’. The artwork has elements of Picasso’s work, for example the vibrant colours as well as Cubomanla.